Finding the perfect Halloween costume for your child can be a challenge, but more so for those who need to incorporate a wheelchair into the design. Crafty dad Ryan Weimer, however, was undaunted and transformed his son Keaton’s wheelchair into an amazing pirate ship. 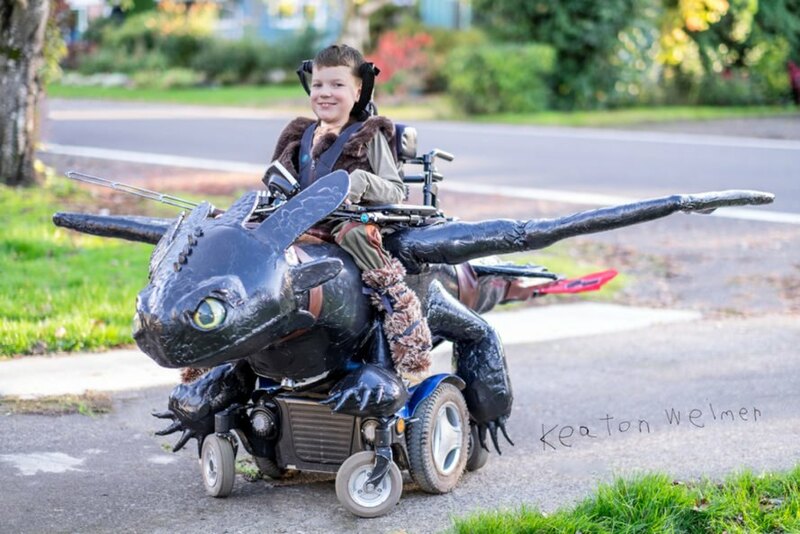 The costume was such a hit that Ryan was inspired to found Magic Wheelchair, a non-profit that makes incredible Halloween costumes for children in wheelchairs. Magic Wheelchair is a non-profit that makes incredible Halloween costumes for children in wheelchairs.